The best thing ever happened recently. I know I’ve talked on here about losing my need for all things American in the kitchen and embracing what I can find here in France, and learning to make things that I still craved from scratch. But sometimes, I still get really excited when I can easily find a little slice of home. Hence the best thing ever: Marks and Spencer Food opened right next to my work! OK, so I know that M&S is British and not American, but I still find versions of my childhood comfort foods (good pre-packaged cheesecake and other sweets) as well as other, more adult and grown up flavors like curry sauces and chutneys and OMG: ground lamb! I’ve set foot in the store two or three times so far, and seeing this lamb mince was definitely the most exciting moment by far (even more so than the discovery of cheesecake!). 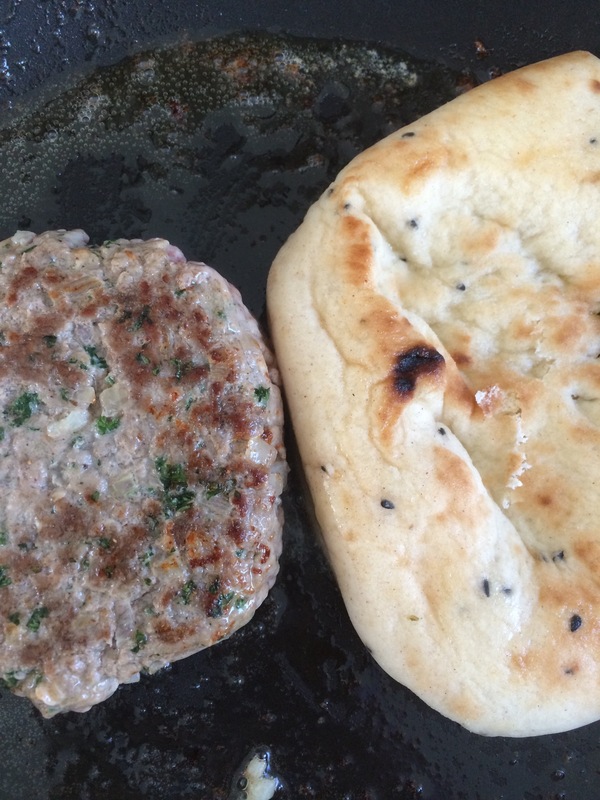 I snatched it up without hesitating, and grabbed a package of Indian naan bread as well, set on the idea of making lamb burgers over the weekend. The rest, as they say, is history. It all kind of just worked out: I happened to have picked up a 5€ bag of fresh veggies at the market a couple days prior, and it contained some beautiful carrots, some wilting fennel, a huge bunch of parsley and a perfect little cucumber. The carrots and fennel, combined with the few Brussel’s sprouts that were lying about my fridge, would become a simple slaw. 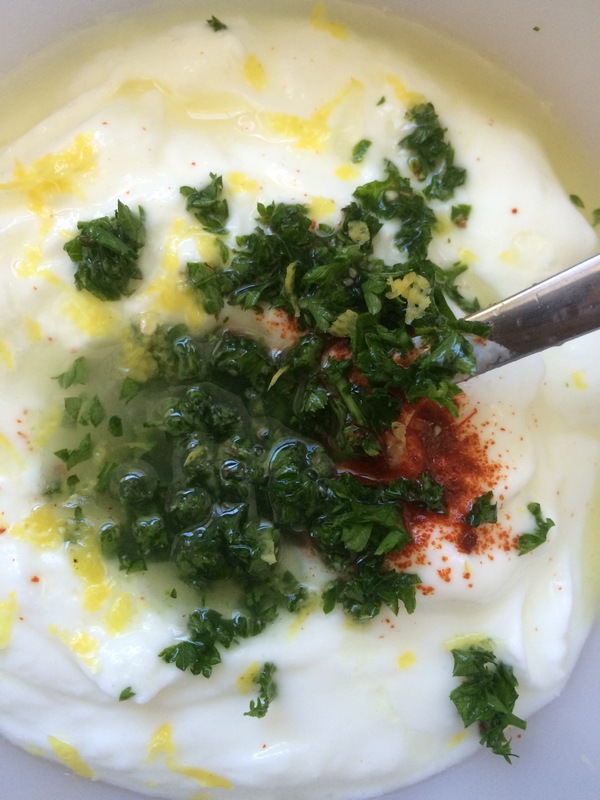 The cucumber would be finely diced and added to some greek yogurt to make a tzatziki-ish sauce that would tie it all together. 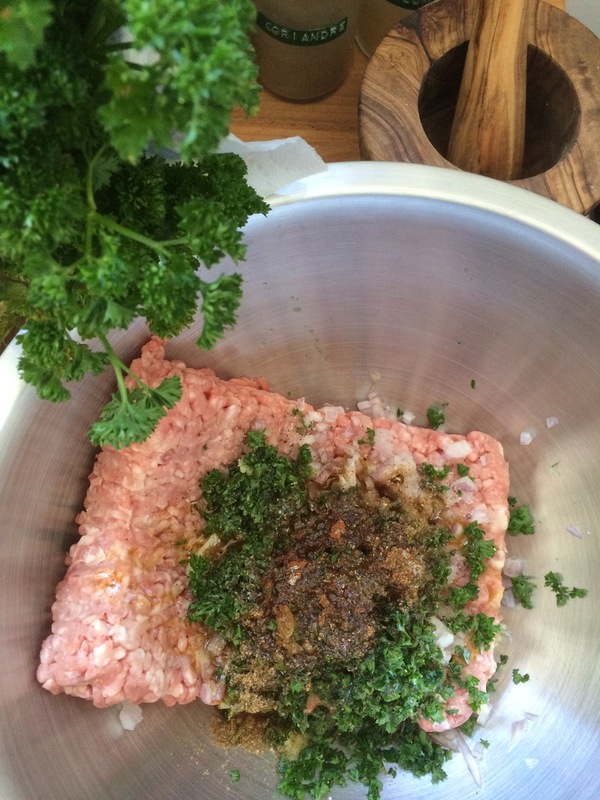 The lamb would be mixed with finely chopped parsley, ground coriander, garlic and of course, cinnamon. The resulting meal was one of the best and most satisfying that I’d had in ages. The lamb was superb, both in it’s burger form, and then scrambled and cooked through and mixed with turmeric and bright green peas the next day in what I can only describe as some sort of faux Keema Mater. Both meals (all four of them actually, I had lots of leftovers!) were fun and full of flavors and, I think anyway, fairly well-balanced. Needless to say, I plan on returning to M&S every week to stock up on more exotic-yet-familiar foods! Start with your lamb. Combine all ingredients in a large bowl and mix to combine. Cover and place in the fridge until ready to use. If you’re doing all burgers, you could form them into patties at this point. For the sauce, combine the next batch of ingredients in a small bowl and refrigerate until ready to use. The same goes for your slaw! This will be best if the flavors have time to meld and the vinegar to work on the veggies. Try to make it at least an hour ahead! Now that everything is ready, heat some olive oil in a large pan over high heat. If you’re making patties, wait until the oïl is very hot and sear them on both sides, then reduce heat and cook through to your liking. Set aside and keep warm while you toast the bread. 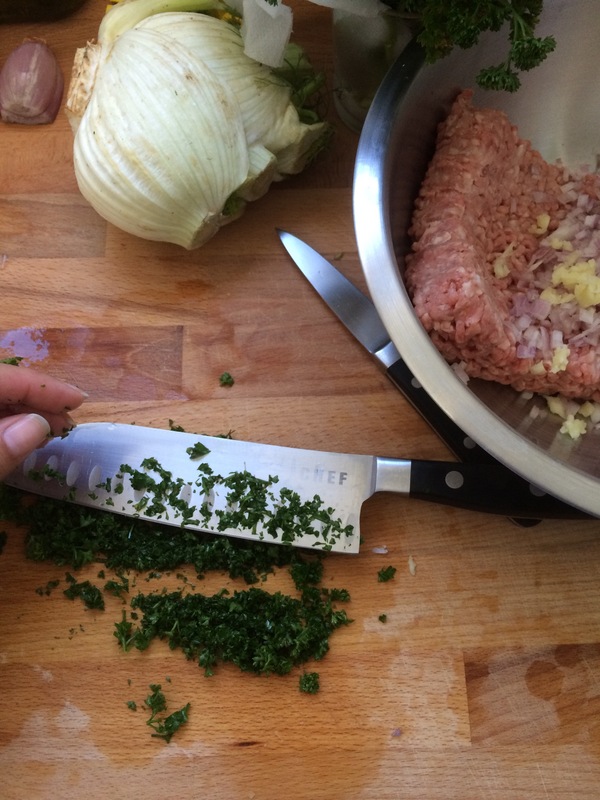 Remove excess grease if needed, then add some butter to your pan and turn the heat back up to medium. Place the bread in the pan and hold down with a spatula, cooking for about 2 minutes before flipping it over and browning the other side. 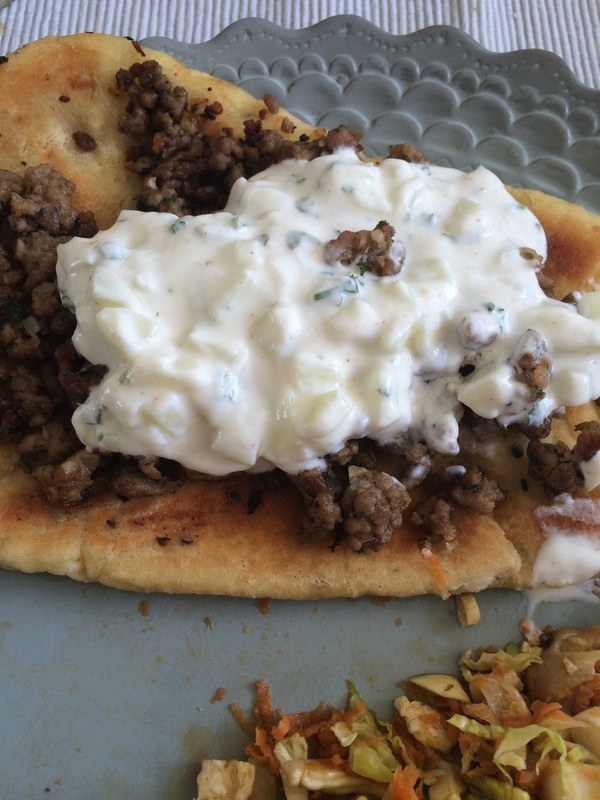 If using naan, plate the bread and add the burger on top, slather with sauce and slaw on the side! 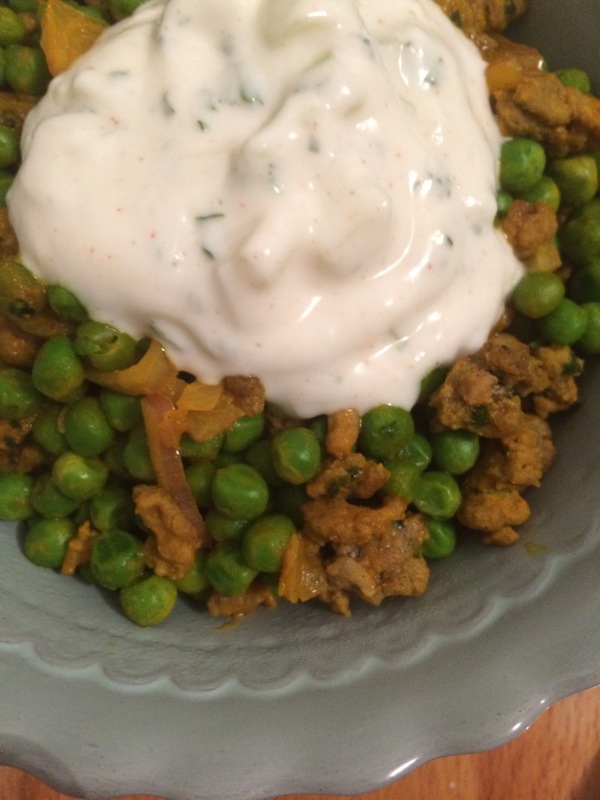 And to transform your leftover lamb into Keema Mater, simply brown it, breaking it up into small pieces and adding about a teaspoon of ground turmeric. Once browned, add about 1/4 cup water, 1 tablespoon tomato paste and 1-2 cups of fresh or frozen peas. Enjoy! 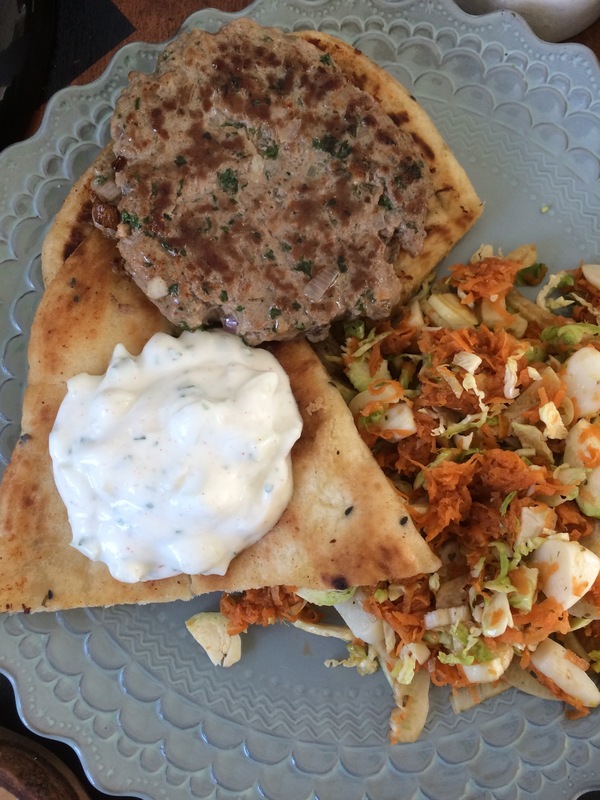 This entry was posted in General, Recipes and tagged Brussel's, burger, Carrots, Cinnamon, Fennel, Lamb, mince, Naan, Slaw, spice by alamericaine. Bookmark the permalink.